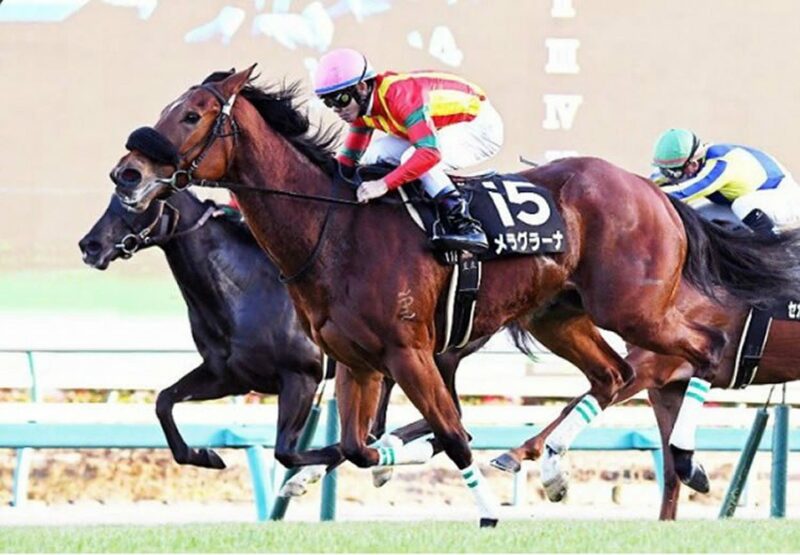 One of 16 starters to contest the Listed Lapis Lazuli Stakes over 1200m at Nakayama in Japan on the weekend, Australian bred Melagrana (4mFastnet Rock x Ghaliah, by Secret Savings) proceeded to record her sixth career success from 14 starts. She claimed the event by a long neck in the colours of Kazumi Yoshida. Melagrana has now won three of her past four starts, all over 1200 metres, and posting slashing times — 1m07.90s, 1m08.70s and 1m08.40s — on each occasion. Bred and consigned to the Inglis Australian Easter Yearling Sale by Emirates Park, Melagrana was snapped up by Yoshida for $200,000 and exported to Japan. Melagrana is the best of four winners from Ghaliah and hails from a family developed by His Excellency Nasser Lootah over the past two decades at Emirates Park. The plethora of stakes winners in the first three dams include Group winners Mutawaajid, Adeewin, Fatoon and Fat Al going back to multiple Group I winner Shaftesbury Avenue. Melagrana is one of 105 stakes-winners worldwide for champion sire Fastnet Rock, who has big representation at upcoming Australasian sales in 2017.